5% Credit on any Mr. Foamer Signage Purchases up to Annual Credit of $5000. Why Choose Mr. Foamer® Marketing? Mr. Foamer’s marketing team has successfully transformed hundreds of car washes sites from average to extraordinary by combining industry best practices with the latest in emerging consumer trends, so you can win more customers and leave the competition behind. 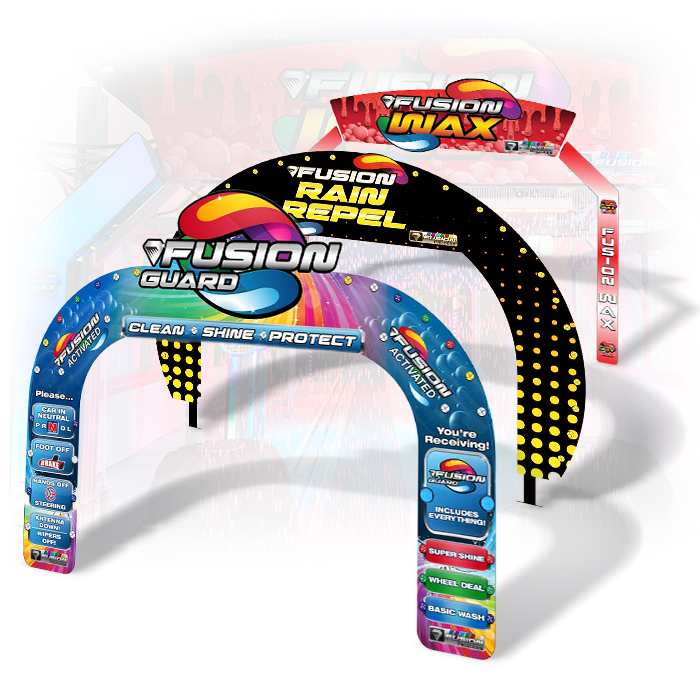 Everything we produce – from high-quality menu displays to websites, grand arches, and more – is thoughtfully designed and constructed by experts with dozens of years of experience in the commercial car wash industry as well as in design, consumer marketing, and digital marketing. Make Your Car Wash Memorable. Effective, effortless, professionally-crafted car wash logos by experts with dozens of years of experience in the industry. 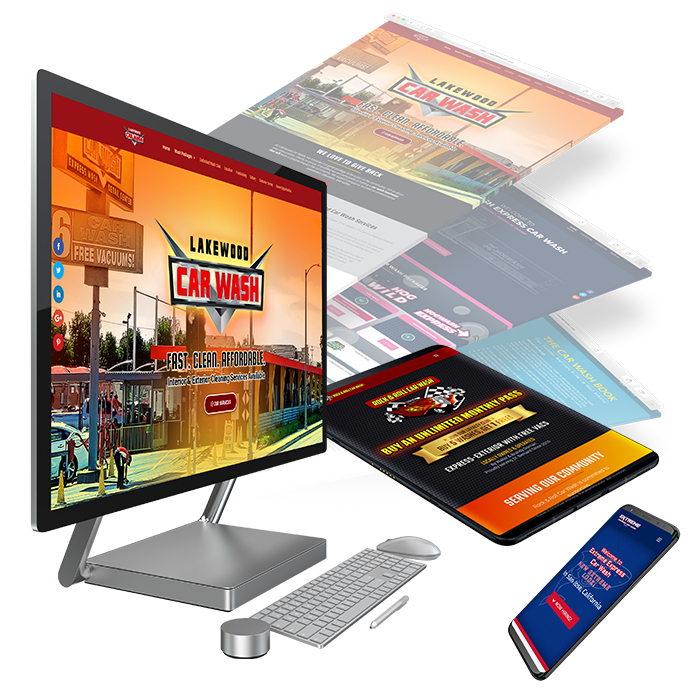 Increase your online visibility and brand image with a mobile responsive car wash website built for SEO best practices. 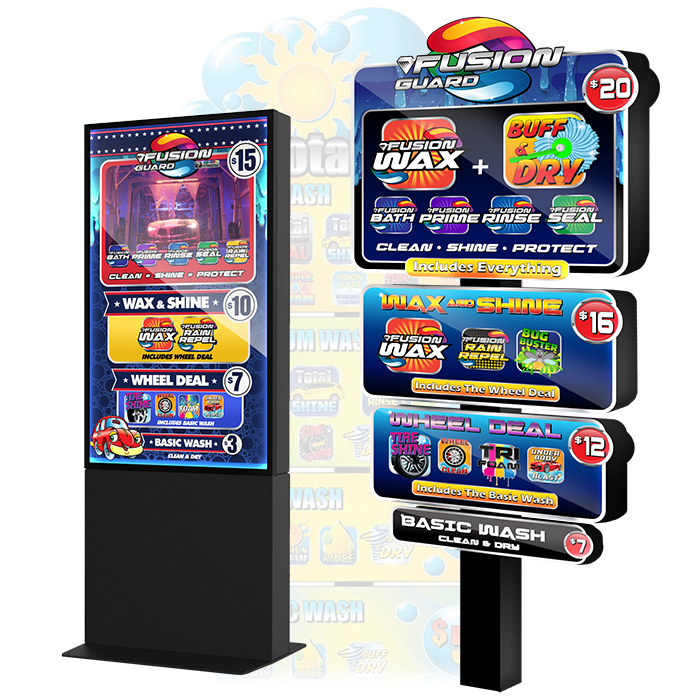 Raise your average ticket with engaging car wash menu designs that compel customers to purchase your top package(s). Engage and guide customers throughout your property with custom car wash signage that's durable and affordable.